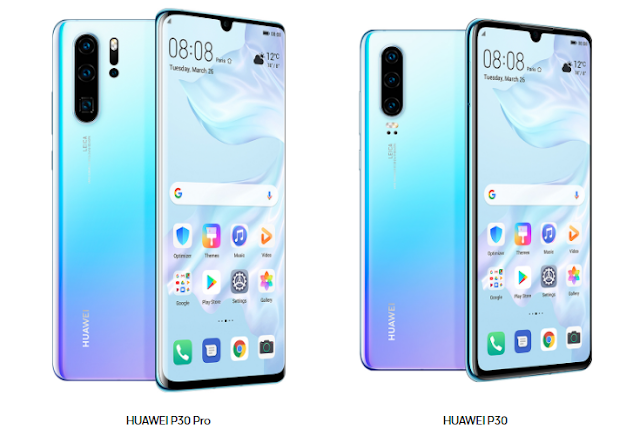 Home / ANDROID / Gadgets / Huawei / Huawei P30 Pro / News / OS / Huawei P30 Pro Launched With With Quad Cameras, 10x Lossless Zoom, Rapid Charging, etc. Huawei P30 Pro Launched With With Quad Cameras, 10x Lossless Zoom, Rapid Charging, etc. After months of rumours and leaks, Huawei has finally launched the much anticipated P30 and P30 Pro, the device that promises to "Rewrite the Rules of Photography". The P30 Pro comes with a four rear camera setup while the P30 comes with three. For the P30, the triple rear camera setup includes: a 40MP Sony wide-angle main sensor, a 16MP ultra-wide, and an 8MP telephoto capable of 3x optical zoom. The device comes with a 6.1-inch FHD+ OLED display, there's a waterdrop notch in the front that houses a 32MP selfie camera. The device is powered by a Kirin 980 SOC, 3,650mAh battery size and there's a headphone jack which isn't found on the Pro variant. For the P30 Pro, there's a 6.47-inch OLED display with curved edges and will run on the same Kirin 980 chip found in the P30. The Huawei P30 Pro has an improved battery of 4,200mAh, 15W wireless charging and 40W SuperCharge which isn't found on the lesser P30. The P30 also comes with an IP68 rating while there's an IP67 on the standard version. Looking at the cameras, the P30 Pro comes with four cameras packed at the rear of the device. The main sensor is a 40MP camera that uses a new RYYB SuperSpectrum that can take in about 40% more light. There's a 20MP ultra-wide angle and an 8MP telephoto with 5x optical zoom and 10x hybrid zoom in conjunction with the main sensor. 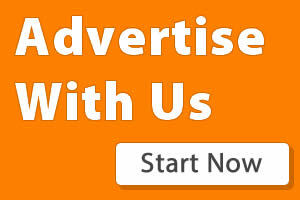 The user of the device also has the option to use the 50x digital zoom option on the device. The last camera on the device is a ToF sensor that can create multi-layer depth of field for use in portrait shots. Apart from the above, the P30 Pro comes with a night mode functionality that allow the user to capture beautiful pictures even in extreme dark situations. Both device comes with an in-display fingerprint reader, screens also doubles as the speaker. The P30 Pro 8GB RAM and 128GB internal storage will be sold at a starting price of £899 (which is about $1,190). While the P30 6GB RAM/ 128 internal storage will be sold at a starting price of £699 (which is about $925). Both phones will go on sale in Europe on the 6th of April and will be available in Amber Sunrise, Pearl White, Black Aurora and Crystal colours.